May 1965 Vandals In Bronze… Police will try to find the authors of this scribble on the Melbourne Town Hall’s new 3500 pound bronze-framed doors. The doors, installed only last January are at the main entrance in Swanston St.
Schools… Windsor State and Prahran Tech. Musical Instruments Played… Piano, Guitar, drums, bass, organ. Likes… Silent movies (Charlie Chaplin), archery, throwing boomerangs. Awards Won…. 3KZ Best Aust. Comp. 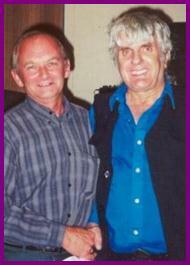 Rick a 60’s music and Bobby & Laurie fan got to meet Laurie in 2002 and became a good mate. (Alison I think I went to Brunny Girls with you! I went through an arty phase some years ago, dabbling in all sorts of crafts, this is a drape sculpture.. A drape sculpture is an anonymous piece of art, the object is to make a sculpture from scraps, it has no face but to still make it obvious to whom it is. Who could this be? 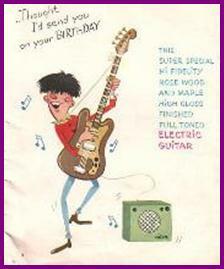 This is a birthday card that a crazy fan ( me) sent to Laurie for his birthday probably in the 60’s, Waza found it amongst some of Laurie’s things after his passing.. I never did expect to see that card again, I guess one could call that FANtastic. Swift Pair Tons of kisses to the swift pair Bobby Bright and Laurie Allen for being fantabulous on stage and so friendly to their fans. Hundreds of kisses to the Pink Finks and The Rising Sons. THREE MOONEE MODS Moonee Ponds. Kicks to Teen Time on BTV6 for not having good talent, why not have Johnny Cooper or Laurie Allen on? They would improve the program no end. Kicks also to Melbourne stations for not giving these fabulous singers a break. Lots of kisses to Stan The Man on 3KZ for saying those nice things about Johnny. Those radio announcers are a lot nicer than some of the TV snobs. W.W. Ballarat. It’s a GO!! Bouquets galore to Julian Jover, producer of “GO! !” he really tries to offer wide and varied talent on his show, from the sparkle of Marcia Jones to the fabulous voice of Dave Howard, the polish of Ian Turpie to the zany antics of Bobby Bright and Laurie Allen. Here you have talent to appeal to all ages and tastes. “GO!! fan Brighton. Not Needed Axes to the galah who is trying to make “GO! !” another Sydney production. Melbourne’s show was different to other shows, it had it’s own atmosphere and pattern. We have the talent and ability to put on an all –Melbourne show. Orchids to Bobby Bright and Laurie Allen, undoubtedly the best teenage act in Melbourne. GO! !’s GONE Port Melbourne. Orchids to Laurie Allen, Bobby Bright, Marcia Jones and Normie Rowe. Disinfect Them.. Good Lord, what a pair! Laurie Allen and Bobby Bright need a haircut and a good wash. I’m not apposed to long hair but on them it looks repulsive. Has clapping gone out of fashion, all one hears is screaming, more screaming and still more screaming. Luscious bouquets to ABV-2 for quiet, educational interesting programs which are not interrupted by cheap noisy commercials… School Girl Elsternwick …TV Times June 23. Surprise Orchids to all teenage artists, I am the parent of a 16year old girl and have often been curious as to what mischief goes on at these teenage dance. So I went to the festival hall charity dance to find out. I was surprised and very pleased at what I saw, a perfectly organised dance concert with brilliant artists. Bobby,Laurie are “Most Gorgeous” Tons of Bouquets to that most gorgeous pair Bobby & Laurie. I think that their hair is simply fab. 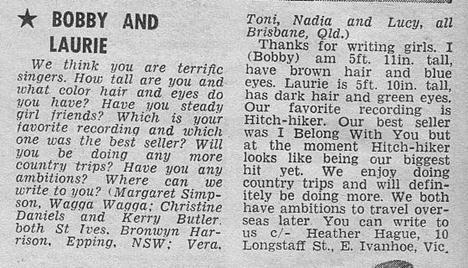 Brickbats to “ Schoolgirl” ( TV Times June 23) who said Bobby & Laurie need a haircut and a wash.
Glenda R… Murchison …TV Times. Teen Arena “We are sorry “Teen Scene” has ended. would ABV2 please give us some repeats of earlier shows especially the ones with Bobby & Laurie in them. 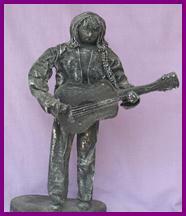 Axes to “GO” for not giving us more variety amongst the female artists…. March 1965 Hills-A-Poppin’ At The Gully….. About 15,000 picnickers rolled up to National Park Ferntree Gully last Sunday to attend 3DB’s seventh annual Hillbilly and Moomba Roundup. Bobby and Laurie were two of the entertainers who appeared at the roundup and they were thronged by admirers…. Listener In-TV Melbourne. American jazz singer Sarah Vaughan, said to be the highest paid night-club star ever to appear in Australia arrived at Essendon Airport to a wild and frenzied welcome yesterday- but it was not for her. Shortly before, a plane carrying Melbourne’s famous pop singing group The Seekers and the longhaired duo Laurie and Bobby had landed and 500 of their girl admirers were still screaming. Showers Of Rose Petals… “Put your hands on your ears, it blocks out the screaming. The music comes through, the vibration comes up through the floor”. This was the advice of a teenage redhead at the Capitol Theatre last night and she was right. From the moment the curtain began to rise it was on. They screamed, they stamped, they leapt into the air. They sent streamers whirling through the spotlights on to the stage, they showered their favourites with rose petals and when the petals ran out, screwed up paper bags aimed at the performers. Go-Go to Laurie & Bobby’s new record “Sweet & Tender Romance”, I think it is a gas, but when are we going to hear the flip side (Down In The Valley). Whats the matter with Melbourne DJ’s, this side is as good as the “A” side so why can’t we hear it, I am sure others share my opinion. Lyn & Pam Port Melbourne. My wish is to obtain a photo of Bobby & Laurie…. S. Graham. St Kilda. Go-Set Vol1.No7 March 14 1966. Go Go To Bobby & Laurie. Go Go to Laurie, Bobby,Normie,Merv but most of all GO Go Go to Gary, cute little drummer of the Rondells, oh Gary you’re the most…. K.Mc Windsor. Go-Set Vol.1 No9. March 30 1966. 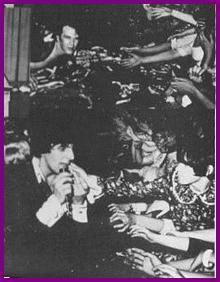 No- Go to Stan Rofe for his comments about Bobby & Laurie’s appearances at the well known beach suburb NightClub “Surfrider” (Go-Set June 29) He insinuates that they perform too small, disinterests audiences which is entirely wrong, crowds have increased on Friday nights since Bobby & Laurie have been on the floor show, so they are now about 5 times better than they were 3 months ago and there are many more boys than girls constituting bobby and Laurie’s most ardent fans. Kids come from all over Melbourne to see Australia’s greatest act appearing in the formality of the Surfrider atmosphere and as Stan appreciates the fact Surfrider is a teenage nightclub he should also realise that screaming younger fans would be out of place, Stans information is usually reliable but this article serves as one of his greatest blunders. Judy& Sue Black Rock. Go-Set. Vol.1 No.24 July13 1966. 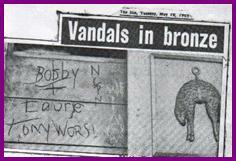 Go-Go Bobby Bright…. 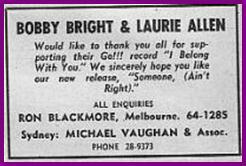 Millions of Go-Go’s to Bobby Bright for having Laurie Allen as special guest on his radio show, it was truly fabulous to hear Bob and Laurie together again, as they spoke of old times together it brought back many happy memories of the days when they were Australia’s top pop duo. Go-Go’s to Bobby Bright, Laurie Allen, Penny Arcade, Rondells and PJ Proby…. Sue E.Malvern Go-Set!! Vol.3 No.52 December 26 1968. March 5 1969 Post Box. Music: Through The Eyes Of Love- Bobby & Laurie. It’s accepted that a girls crowning glory is her hair, but how does she feel when her young son has the flowing locks? 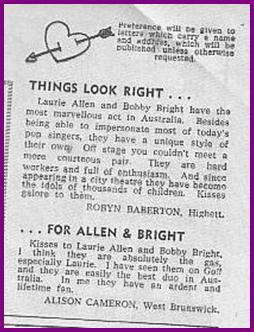 TV Times reporter Fred Robertson last week questioned the mother of pop idol Laurie Allen about her son’s Veronica Lake hair-do. “I’ve finally got used to it” Mrs Allen said. “ I didn’t like it at first”, “ I suppose he has to have something different”. When did she start to get a bit worried about how long Laurie’s hair was getting?” “Well I suppose it started when the price for haircuts went up” she said. “ then everyone started letting their hair grow longer” The hullabaloo that surrounds her son sometimes puzzles Mrs Allen. “I suppose that goes with pop music these days” she said. “sometimes these young girls go real funny though”. “And it amazes me the way some of them ring up wanting bits of his hair or an old shirt so they can cut it up”. 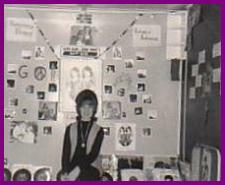 “ Others say they have photographs of him all over their bedroom walls- “I don’t know what their mothers think”. And does she like the music? “I’m getting to like that too” she said “I used to like the slow stuff but now I get with it”. Question…Are you safe in the streets? Laurie: Most kids on the street either stare at us or ask for an autograph but we are not safe at dances where there are big crowds because the girls want to tear at us all the time, we had to be rescued by police at a Festival Hall concert recently. Bobby: It’s great walking round the streets because sometimes older people laugh and point and at other times kids recognise us as Bobby & Laurie but now and then you feel it would be a gas to go somewhere and enjoy yourself with out being recognised. For proof of this we took Bobby & Laurie into Flinders St where they were whistled at by passing motorists, stared at by women shoppers and one young toddler burst into tears, then a group of policemen came past, some were friendly, some jeered and the parting comment from one was “where did they dig you two up from”?